The Top Gear host's fate was sealed when he punched a co-worker. But the papers blame the BBC. Political correctness, it is said, has gone mad. It seems you can’t even punch a subordinate any more for fear of offending the loony Left. Why don’t they lighten up? Depressing as it has been to read the weird defences of Jeremy Clarkson, after the BBC decided not to renew the Top Gear host’s contract over his punching his producer, worse is the attempt by some newspapers to paint him as the victim of a left-wing BBC plot. “Cohen, a fixture of the north London metropolitan elite, was keen to have the presenter removed after the most recent Top Gear controversy. Though it agrees that ‘hitting a colleague is never acceptable’, the Times says the BBC overreacted, ‘sacrificed £50 million in annual revenues’, lost a popular show and could have suspended Clarkson and slapped him with a ‘heavy fine’. Of course, there’s no mention in the Sun and the Times of Clarkson’s friendship with Murdoch’s goddaughter, Rebbekah Brooks, and David Cameron, Murdoch’s horse in the general election. In other words, never mind the ‘north London metropolitan elite’, what about the Chipping Norton elite who actually have power, with links to a press baron and the prime minister? 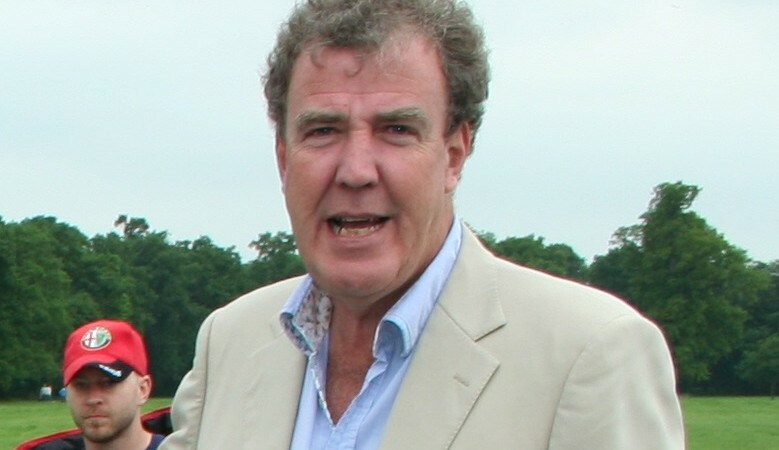 Rumours Murdoch is thinking of hiring Clarkson for future car-themed television may also play a part in the coverage. In some ways, the papers are right to blame the BBC. The corporation has been far too lenient with this overpaid bully, and allowed him to think he could do what he liked. But the charge of political bias could just as easily be made against these papers. After all, Clarkson’s status as a right-wing totem and promoter of reactionary views is betrayed in all the quotes above. But in reality, Clarkson was sacked and faces police investigation not because of some left-wing plot, or because he challenged taboos, but because no-one should be able to behave as he did, at licence-fee payers’ expense, and expect to get away with it. ‘Decency and respect’. Are even these conservative values to be jettisoned now in the name of smashing political correctness? You can bite a colleague and still head up the BBC on 800K a year plus. Don’t know about the Jewish angle raised here in this piece. I doubt that’s anything real. But people who hate Clarkson are happy. It’s a bit pathetic really. He is an oaf and I went off the programme some years ago as I don’t find it particularly funny. It’s too contrived for me. But his previous ”crimes” are not so bad IMO. The ”one eyed Scottish idiot” one was the worst I’d say. But people were even getting offended by the one about Mexicans. Omg, someone made a crass stereotype about old ideas of Mexico, which is a country very very far away from the British consciousness. We’re more likely to have an idea of Mexico from Clint Eastwood films like ”A fist full of dollars” or The Magnificent Seven. But today we’re so PC that you can’t make a joke about any country on earth. Not even Papua New Guinea, like Boris Johnson found out when he mentioned cannibalism some years ago. (There were cannibals there in the not so distant past). Even the ”Eeny meeny miny mo” thing was pathetic, as it was something that an enemy of his had picked up of the cutting room floor and passed to the media. Which is pretty disgusting in my opinion. Clarkson had to go over punching this guy once it got out, but maybe it could have been sorted out internally. Treated like a rugby player punching another during a match maybe. It’s bad, but not the end of the world. That’s was years ago. At least they’re now applying normal employment rules to their staff. There can’t be many employers who would tolerate their people punching co workers. But these right wing papers often do dog whistle antisemitic jibes. For example, we are told Miliband looks ‘weird’ (compared to, say, Osborne or Gove?). ‘North London metropolitan’ is another one they use. Nothing very subtle. You “don’t know”, but you then “doubt” it’s real. Because of your bias. I shan’t respond to someone who comes up here as ”Guest”. Who are the dogs these whistles are intended for? Regular white people? North London metropolitan elite is OK as a jibe I think. It means people like Emily Thornberry, who found the concept of a white van man’s home with his England flags hanging from the windows so tweetable. And the people who regard UKIP voters as little better than fascists. A bit like that crowd who hounded Farage at his local pub the other day. You just did, proving yourself a liar once more. A bit like Farrage’s yellow. You’re blowing your horns for your hunt. As you focus on what matters to you, clearly, white people. Is ‘north london metropitan elite’ the Times newspeak for ‘rootless cosmopolitan’? You are wrecking this forum space troll. It does look like the owner of this blog doesn’t care about the comments below the main articles here, otherwise he’d get rid of this annoying little creep Leon Wolfeson. Leon is someone who I’m sure would support the idea of the ”#blackbrunch” – which is something that has been happening in the US where black political activists go to ”white spaces” like a cafe where white people are eating and drinking, and then forcibly ”educate” them about their white privilege. So antisemitic jibes are ok in your book? And it can hardly be compared to criticisms of UKIP who, it’s pretty plain, does have a fair number if racists in its membership. Actually the allegations emerged in 2005 and relate to an incident in 1988. But hey, who cares about the facts? I don’t see any antisemitic jibes. Although I did wonder myself if there could be possibly something in it. I don’t think there is and I’ve just been listening to quite detailed political analysis of last night’s debate thing with J Paxman. Nowhere could I detect anything about Miliband’s Jewish origins coming through. I really don’t think it is an issue. He’s not even religious. If he was a religious Jew (a hassid in a black hat or something) it obviously would be a point of contention, but I think it hardly registers with him. That he is geeky might be because of his Jewish background though. We are all products of our environments and his was one from a Jewish intellectual background. A communist father for example, which is hardly typical of regular British people. But I doubt there is much more than a few percentage points of opinion that might hold being Jewish against him. Blair got some stick for being a big Christian – praying with George Bush and what have you. Ralph Miliband wasn’t a communist. He might have been a Marxist, but he was highly critical of the Soviet Union. He was an on and off member of the Labour Party. Of course the Mail famously smeared him by claiming he ‘hated Britain’. “Purge the Jew”, you scream, “caring is purging”. As you make up nonsense about what I believe – I’m sure you think it’d be fine if it’s white people and your privilege, of course, given your exclusionary and pro-censorship attitudes. Right. You keep screaming that, as you once more confirm for the record you are a liar – you’re the troll, here from spiked to disrupt the conversation. Did you say “facts” near Guido? Careful, he might get cooties. He’s someone who goes on about things like homelessness being a “lifestyle choice” over on Spiked, Cole. And of course he’s now on Murdoch’s payroll, lest we forget. I thought Marxists were communists. He wrote the communist manifesto. The Mail were total scumbags for what they said about Miliband’s father btw. Since when is it conceivable that somebody can punch a work colleague in the face while ON THE JOB and keep their job?? Now that we know the facts concerning the incident, why is there even any argument taking place at all?? How is it that this man has not been arrested and hauled in front of magistrates like anybody else would be?? He has committed a VIOLENT CRIME after all!!!!! If you don’t get it…don’t worry about it, you wouldn’t find it funny anyway. It’s good old fashioned British humour. The victim in the case has indicated he does not want to press charges. With common assault that’s the end of it, basically. “the popular image of a corporation dominated by the metropolitan Left” arises from, um, the BBC being exactly that. Simply if I hit some one at work, I doubt I would keep my job. My employer even extends that in my contract to outside work and other employees present or past. If i got round that lot there is the bringing the company into disrepute, which HR just have to claim and your a goner. Remember if prosecuted and convicted Jez may well have struggled to get into some countries, perhaps that was the deal? Personally I have always since a teenager believed the BBC to have a right wing bias. My friends when we have discussed this on the whole agree. At the 2010 election they seemed to cosy up to Cammeron, perhaps they thought of him in their image, or vice versa. In the last election I think the bias was obvious, the Question Time plant was blatant as was a lot of the reporting, the continuous reporting of the SNP alleged influence scared many voters.